Myofascial trigger points are small areas of taut, band-like hard “knots” in muscle that are usually acutely tender to touch. These trigger points are a common source of pain that can refer symptoms to other areas in the body. For many people they are often overlooked or under-diagnosed as a source of pain. Trigger points have been found and documented for some time now, and it is only recently that the general public is being made aware of the existence of referred pain from skeletal muscle. It is thought that trigger points are areas of sustained muscle contraction that contain excessive levels of irritants that overstimulate the nervous system leading to pain and dysfunction. They can develop in muscle tissue due to sudden injury, muscle overload, or repetitive microtrauma. 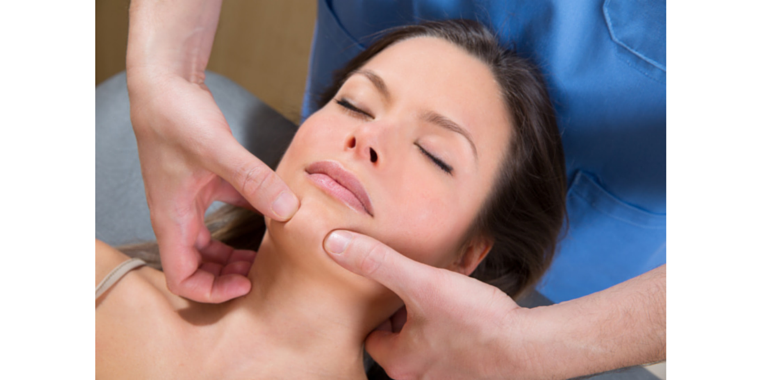 When stimulated, trigger points can cause local and/or referred tenderness and pain. “Active” trigger points can be the primary source of pain, while “latent” trigger points only cause symptoms when compressed. Both active and latent trigger points can lead to restriction in range of motion. De-activation of trigger points with myofascial massage techniques or dry needling can reduce symptoms of pain and improve range of motion. Is myofascial trigger point therapy supposed to hurt? No and yes! “Trigger Points” are very sensitive by nature and they may be more sensitive than surrounding tissue. Your therapist will usually let you know that you should not hurt more than a “5” or “6” on YOUR pain scale of 1-10.